Nothing brings out that wanderlust itch like Summer. While you could do the highly talked about and classic destinations like Paris, Rome, and London, you may be left battling millions of other visitors. We’re not knocking the classics (they are classics for a reason), but more people seem to appreciate beautiful and historic locations that come sans crowds. Lucky for you, we’ve surveyed our international and most traveled employees to share their best kept travel destinations. 1. Krka National Park, Croatia. A bit off the European beaten path, Croatia’s natural beauty should top any traveler’s list. 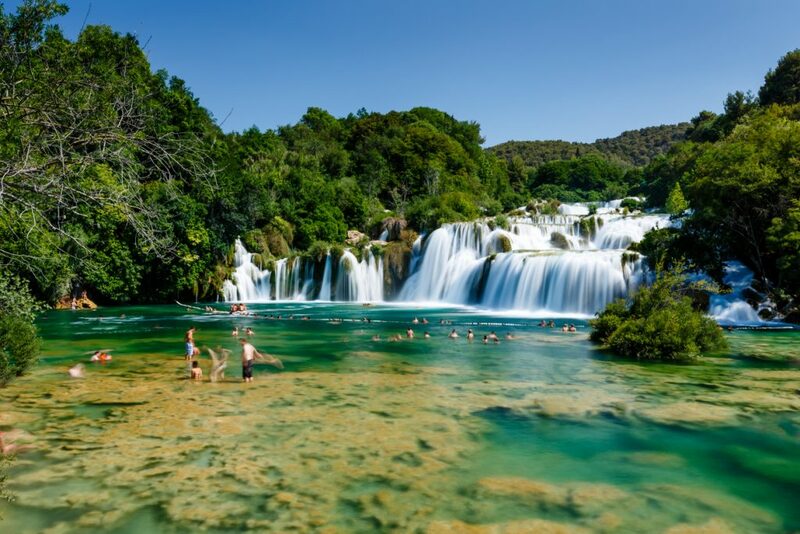 Krka National Park is famous for its scenic and crystal clear waterfalls. These waterfalls aren’t just for admiring either. Swimming is not only permitted but encouraged and the locals aren’t shy about jumping in. Not interested in getting wet? You can enjoy the walking path around the falls or a historic Franciscan monastery located on Visovac Island – in the middle of the Krka River. 2. Republic of Maldives. For those seeking a tropical getaway, we have the answer. Located in the Indian Ocean just on the southwest tip of India lies the Republic of Maldives. The nation consists of 26 ring-shaped atolls with over 1,000 coral islands. 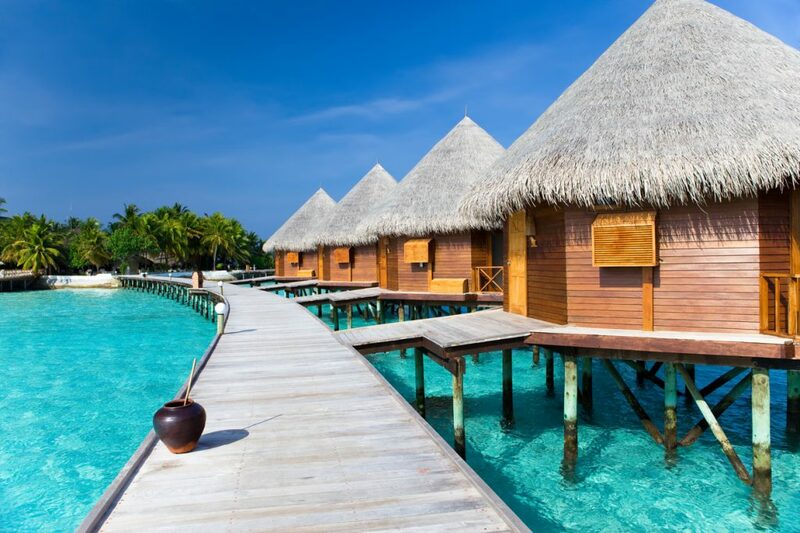 The proximity to the equator makes Maldives a summer paradise year round. Tourists looking for more than iconic sandy beaches and sun tanning can enjoy world class scuba diving or snorkeling tours along the coral reefs. 3. Verona, Italy. If your heart is set on Italy this summer, we have a cool destination that doesn’t draw big crowds like Rome or Venice. Hopeless romantics may recognize this city in Northern Italy as the plot setting of Romeo and Juliet and there is no shortage of references to the sonnet within the city. 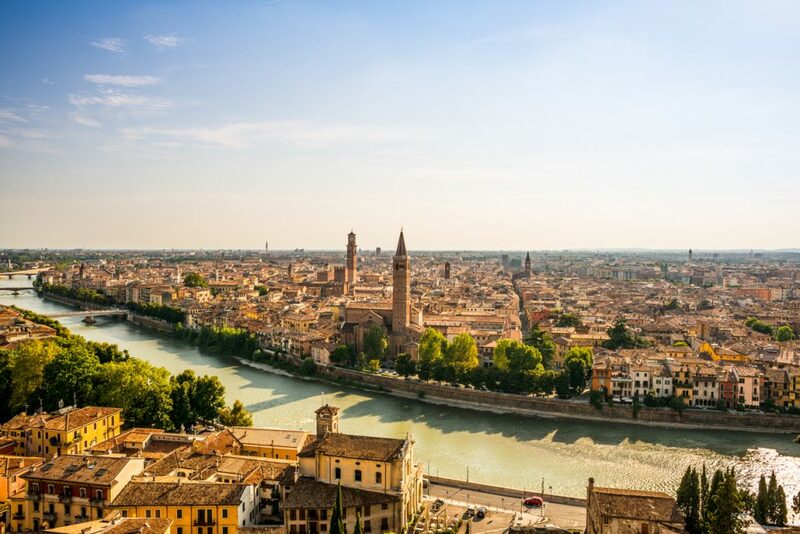 Tourists can visit the ‘casa di Guilietta’ (House of Juliet), ‘casa di Romeo’ (House of Romeo), and ‘tomba di Guilietta’ (Tomb of Juliet) as part of a Shakespeare in Verona tour. It may be important to note that Romeo and Juliet have no historical merit and the attractions are only intended to resemble scenes from the sonnet. 4. 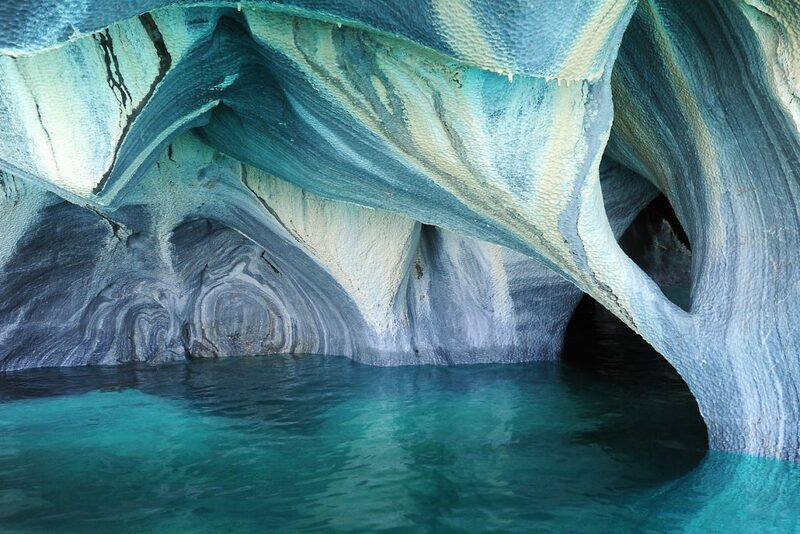 Marble Caves, Chile. For those seeking an awe inspiring landscape, look no further than the Marble Caves of Chile Chico. Hypnotic blue and green colors reflect on the Caves, making them look like they’re out-of-this-world. The caves have been carved from wave erosion over 6,000 years ago, as ice shelves retreated from Patagonia. Local ferry tours will bring you out to and through the marble tunnels. But be sure to bring a jacket as it’s a glacial lake that sits on the southernmost part of Chile. 5. Kek Lok Si, Malaysia. Known as the Temple of Supreme Bliss, Kek Lok Si is the largest Buddhist temple in Southeast Asia. 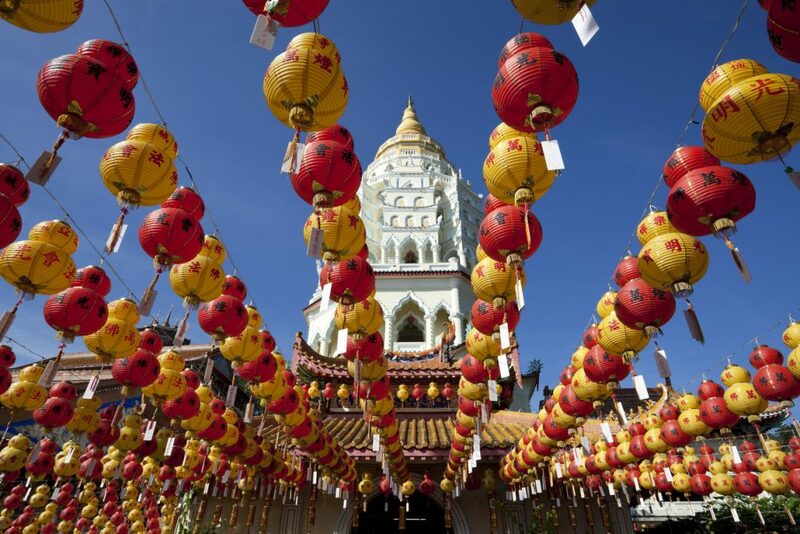 Located in the Malaysian state of Penang, it has been at the epicenter of Malaysian Chinese New Year celebrations for over 100 years. Tourists can enjoy the temple year round with free admission and a small surcharge to view the Pagoda of Rama VI, a collection of 10,000 alabaster and bronze statues of Buddha. Visitors can also explore the rest of Penang for a rich mesh of Malaysian, Thai, and Chinese culture and heritage. 6. Waiheke Island, New Zealand. Thank goodness my husband is a Kiwi and has local insight into New Zealand’s destination gems. Otherwise, I’d never have seen this ‘heart-stoppingly’ beautiful island paradise just 35 minutes outside of New Zealand’s capital city. Waiheke Island is known for its delicious food, vineyards, amazing views, sandy beaches and bohemian vibe. My all-time favorite thing about “the island of trickling water” as it’s referred to by the Maoris? It houses over 40 wineries. I repeat: 40 wineries, which produce some of the most flavorful wine around given the ideal climate there. 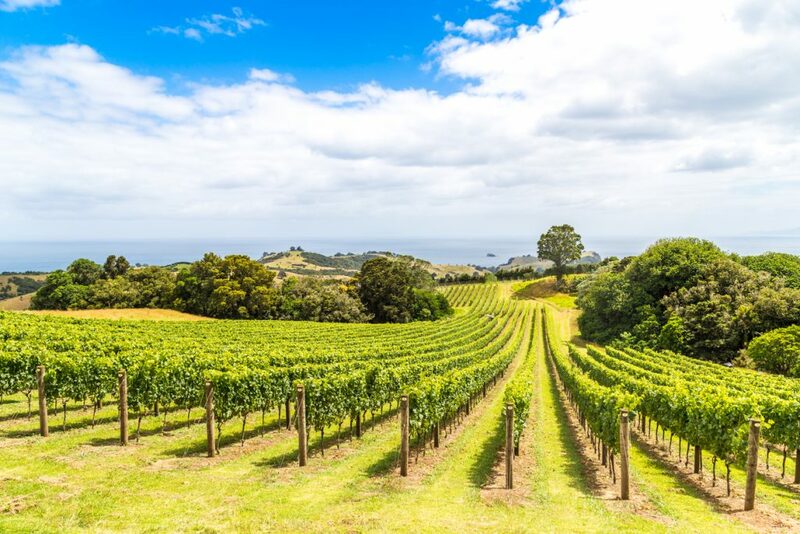 My personal favorite is Cable Bay Vineyards, which has a breathtaking view of Waiheke’s rolling green hills, the glistening bay and Auckland’s skyline. But it’s important to note that our winter (December through February) is New Zealand’s summer and is usually the best time to visit. Well, if you like warm weather that is. 7. Sedona, Arizona. Want to avoid hours of travel? Well, we’ve got just the place for you right here in the states. 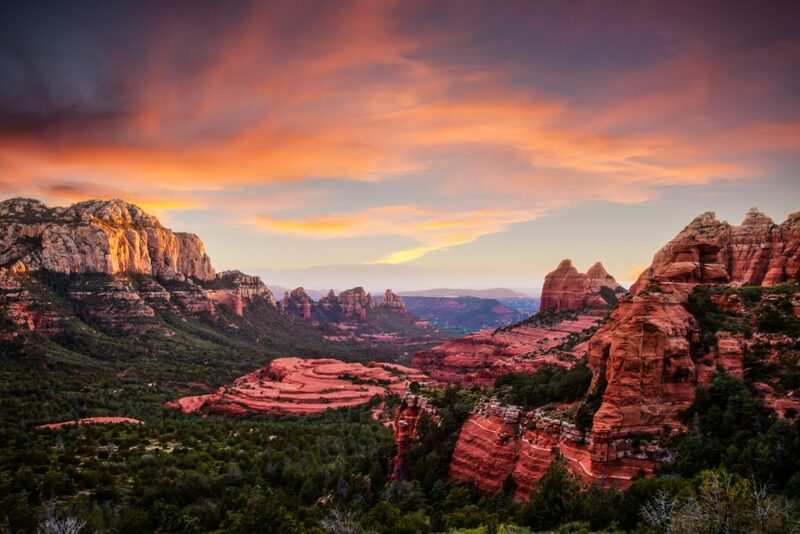 Just two hours North of Phoenix and two hours south of the Grand Canyon is the picturesque town of Sedona. Its numerous red sandstone formations, which have a spectacular bright orange and red glow effect, make for a unique landscape. The town also has an artsy vibe and is filled with several galleries, but if you’re more into outdoor activities such as hiking, biking, swimming and camping, you’ve hit the jackpot. You can cool down at Slide Rock, nature’s water park, to enjoy a refreshing swim and slide down a natural chute that is about a third of a mile long. 8. Akaroa, New Zealand. All of New Zealand is breathtakingly beautiful, and with a population of only 4 million people, it’s probably one of the most under-crowded countries in the world. 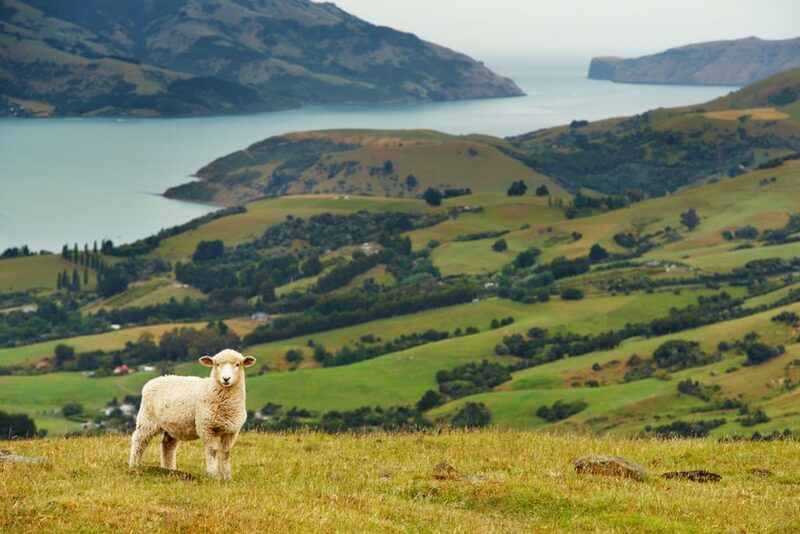 But Akaroa, located just an hour outside of Christchurch, offers something way different than the typical modern New Zealand city, and therefore, it’s become a special haven for locals. Founded by French and British settlers, Akaroa is more reminiscent of a quaint Mediterranean village than a southwest Pacific coastal town. It’s undeniably charming with its European-influenced bakeries, cafes and bistros. The best part: Akaroa is home to the smallest, rarest – and quite arguably cutest – sea life in the world from the Hector’s dolphin to little blue penguins. The town offers several water sports, dolphin/whale watching tours, hiking and mouthwatering dining options. And with hotels averaging $83 a night, the long ride there is worth it. 9. Ouray, Colorado. Nestled in the San Juan Mountains of Southern Colorado is the Switzerland of America. Ouray is a fairy tale hideaway surrounded by mountains. This small town was given the title “Outdoor Recreation Capital of Colorado” in 2016 because of the abundance of parks and activities it has to offer. In the winter, thrill seekers can go ice climbing at the Ouray Ice Park. 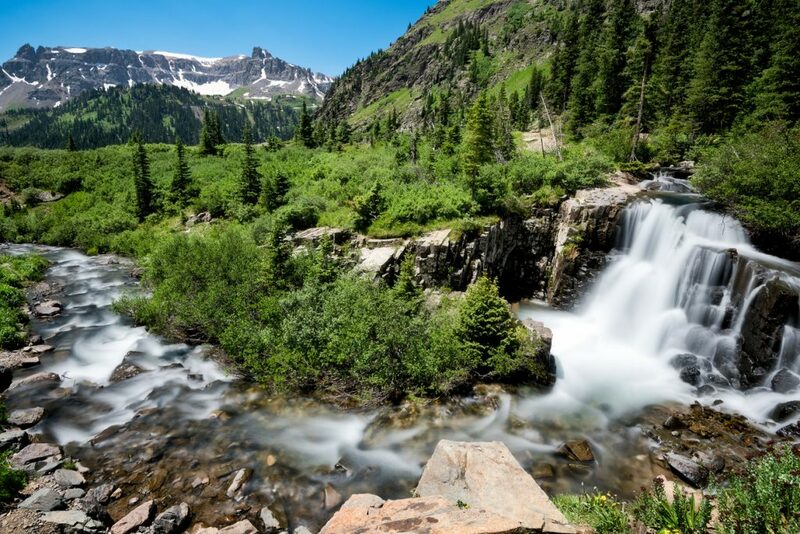 If you prefer a more mellow vibe, enjoy the majestic mountain views while relaxing in the Ouray Hot Springs. Once the warm weather rolls in, explore the area by taking your pick from more than 80 mapped and maintained trails. Ouray is the ultimate destination for anyone who wants to escape without booking an expensive flight. 10. Fraser Island, Australia. Stretching over 76 miles in length, Fraser Island is the largest sand island in the world and seemingly has it all. With the world’s only rain forest known to grow on sand dunes, half of all the perched lakes (lakes formed when rainwater fills the depressions in dunes), and a beach that is an actual freaking highway – no joke the speed limit on this all-sand ‘highway’ is 85kph (~50mph) – you’ll know you have arrived at a truly special place. Did we mention the native dingoes? The baby humpback whales and their mother’s that like to frequent Fraser Island’s waters? We didn’t, but now you know. 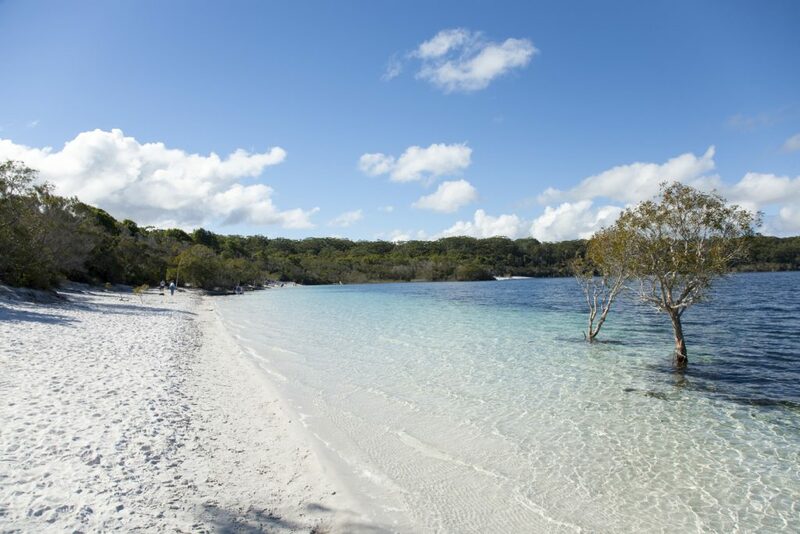 Whether you’re looking to ‘rough it’ at a beach-side campground or take a more pampered approach, Fraser Island will promise you a fantastically unique vacation. 11. Fez, Morocco. Known as the medieval capital of Morocco, Fez is among the best preserved historic cities in the Arab world. 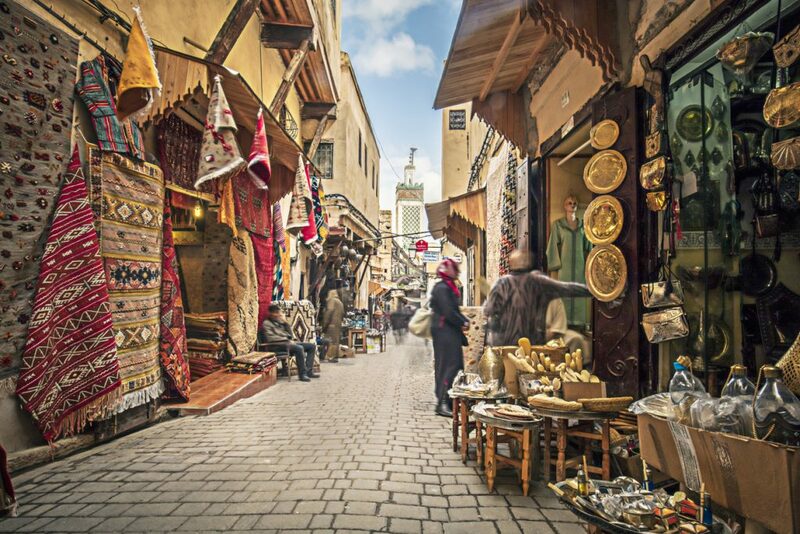 Most tourists stick to the more well-known city of Marrakesh, making Fez a great place to get to know the real Morocco without the tourist-filled streets. We recommend checking out the Fes el-Bali Medina, the world’s largest car-free urban zone and a UNESCO World Heritage Site. All goods are still imported by donkeys, mules and handcarts. The medina is also a picturesque labyrinthine full of colorful dying pits to shops with handmade leather goods, ceramics, and textiles. At the end of your day, you can escape the overwhelming sights and sounds and head to a beautifully restored Riad. Have dinner on the rooftop terrace to unwind, and catch the breathtaking views of the city.